Your master bedroom should be considered a sanctuary because it is the kind of place where you restore all your energy. A master bedroom should have an ambiance or theme where you can relax peacefully and comfortably. Comforting in a way that you’re not having trouble to get in and out in your bed or changing your bed sheets without hassle. It is also important that it is free from clutter or unwanted objects or decor that might interfere with your rest and calming of the mind. Window covering is also important because it’s used to block the unwanted light and views; it also produces a calm ambiance in your master bedroom by adjusting it depending on your mood. 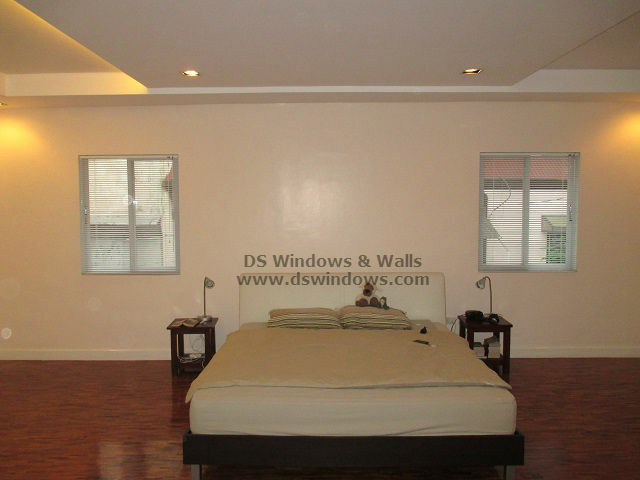 Our client from Pasig City has a very spacious master bedroom. Our client decided not to add too much furniture to preserve the clean and spacious look of their bedroom. One of the best window blinds to inside mount is venetian blinds since it has a small depth (about 1 inch) and can be easily inside mounted to most window frames. Since venetian blinds are also very light, it is also very easy to install if you decide to do-it-yourself installation. For window treatment our client opted aluminum venetian blinds and mounted it inside the frame of their window to keep the neat look of their window. Although aluminum venetian blinds are one of the cheapest blinds in the market, its quality is incomparable, it can block the unwanted light effectively. Maintaining your aluminum venetian blinds is not that hard, simply wipe it with a feather duster or damp cloth and your aluminum venetian blinds will be clean right away. 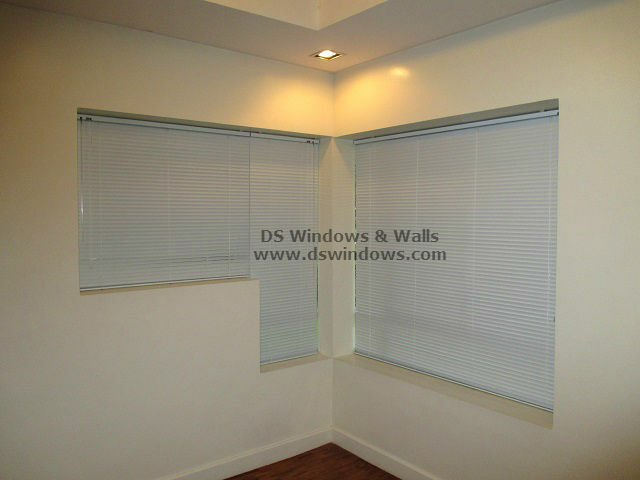 The white aluminum venetian blinds brought simple yet sophisticated look in their room. Their color white aluminum venetian blinds were same color as their wall that brings brightness inside their room. The lighting is very helpful if you are reading and it also adds a soft effect for your master bedroom. DS Windows and Walls Interior Supply offers different varieties of color, design and pattern for aluminum venetian blinds. You can visit our webstore at www.angryblinds.com.ph for online ordering, or visit us at 4th level Waltermart, Makati City, 3rd level Robinson Metro East, Pasig City and 2nd level Pacific Mall, Lucena City. 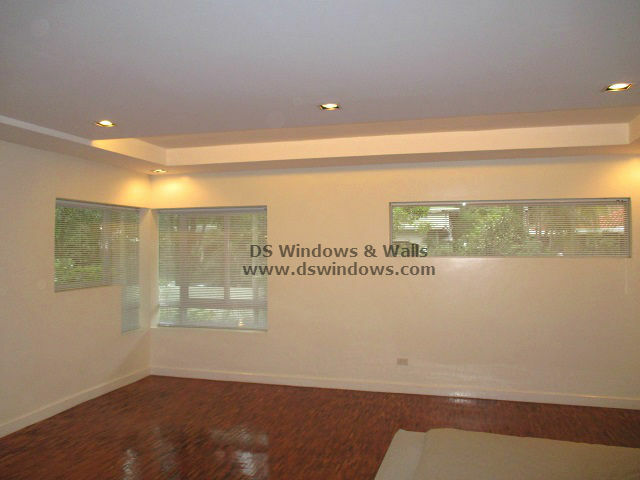 For more information you can call us at (02) 403-3262 / (02) 668-9668 / (02) 893-1373 and 0916-311-3909 or email us at inquiry@dswindows.com.